8175 - Stainless Steel Grease Recovery Device (GRD) - Jay R. Smith MFG Co.
Grease+Gard Grease Recovery Devices can remove up to 98% of free floating fat, oil, and grease (FOG) discharge from grease interceptors in commercial kitchens, preventing clogged and overflowing grease interceptors and simplifying maintenance. 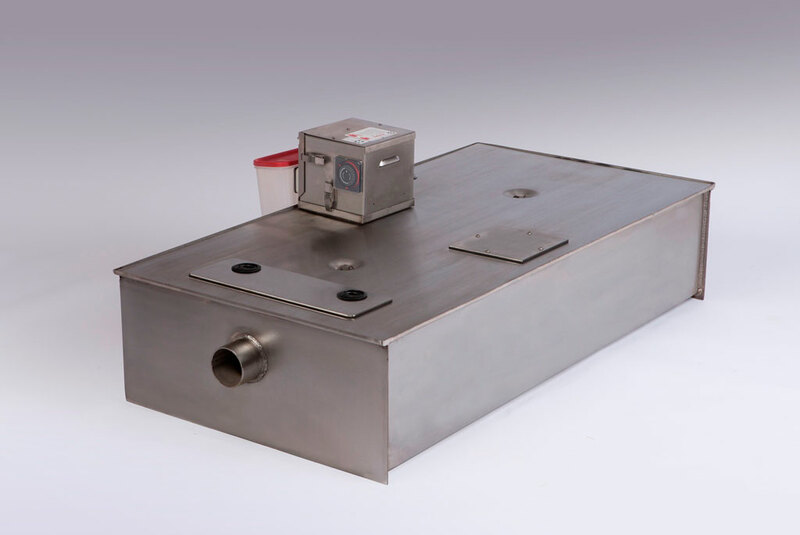 Used in all areas where fats, oils and grease must be intercepted and collected. The unique fully automatic grease removal design permits removal of accumulated grease without having to remove the cover. Accumulated grease in liquid form is automatically skimmed off and discharged into a reservoir for convenient disposal. 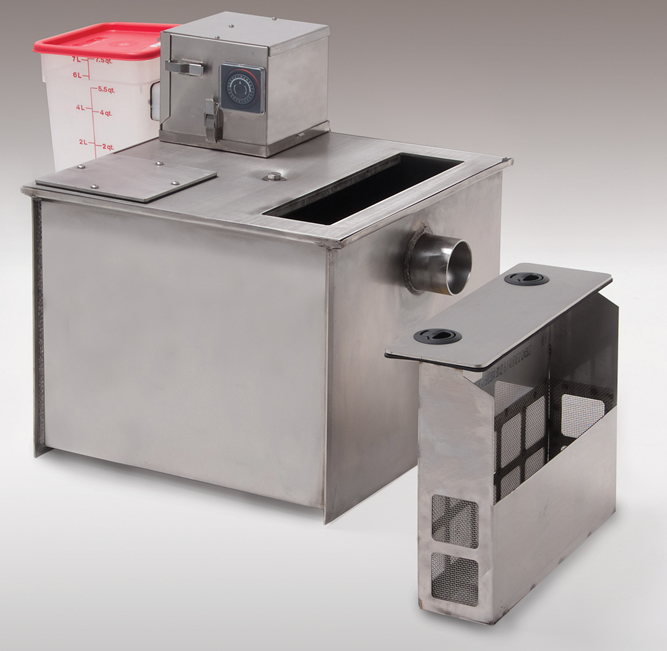 Automatic Grease Recovery Device (GRD) with Low Profile Grease+Gard®II Skimmer with Heater and Grease Reservoir, Type 304 Stainless Steel Interceptor with Bucket, No-Hub Connections and Flow Control Fitting.